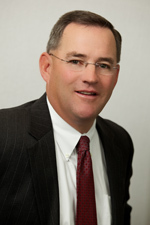 Tom has 30 years of experience in the financial services field. He provides wealth management to a select group of high-net-worth individuals in a variety of fee based programs as an Investment Adviser Representative with Commonwealth Financial Network®. He also manages investment programs for numerous business retirement plans and he has achieved his Accredited Investment Fiduciary® (AIF®) designation. He resides in Holden, MA, along with his wife of 30 years, Cyndi, and their children: Bryan (29), Erynn (27), Connor (22), and Kailee (19). Cyndi and Tom are devoted parents who do not miss any activities of their kids! Thomas J. McDavitt is proud to have been recognized as a Summit Club advisor for 2016—a distinction based on annual production that places him among the top 22 percent of advisors affiliated with Commonwealth Financial Network. 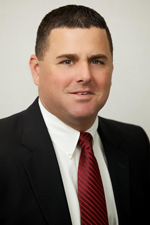 A 1994 graduate of Assumption College, Steve has 16 years of experience in the investment and insurance field, having worked for Fidelity Investments prior to starting Santucci Financial Services in 2000. In 2009, Steve formed Santucci Wealth Management and merged offices with Tom McDavitt of McDavitt Wealth Management. As an Investment Adviser Representative of Commonwealth Financial Network®, Steve manages assets for individuals, families, and small business retirement plans with an emphasis on service. He has his Accredited Investment Fiduciary® (AIF®) designation. He resides in Leominster, MA, along with his wife of 15 years, Stephanie, and their children: Jonathan (12), Gabriella (9), and Isabella (5). Steve R Santucci is proud to have been recognized as a Business Experience advisor for 2016—a distinction based on annual production that places him among the top 49 percent of advisors affiliated with Commonwealth Financial Network. 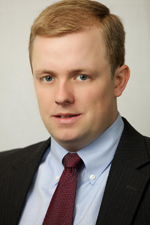 A 2005 graduate of Bryant University, Aaron has eight years eof xperience in the investment and insurance field. 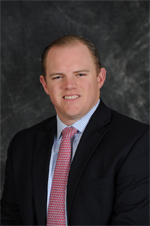 Aaron joined McDavitt Wealth Management in 2006 primarily in the role of support staff for the practice. Since 2008, he has been building his business managing assets for individuals, families and small business retirement plans, as an Investment Adviser Representative of Commonwealth Financial Network®. He also has achieved his Accredited Investment Fiduciary® (AIF® ) designation. Aaron resides in Holden, MA, and has coached lacrosse for six years at the high-school level. Despite having stepped out of coaching, he remains active in local sports and recreational activities in and around the Worcester area. 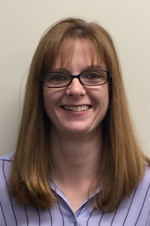 In her spare time, Julie enjoys watching her children play basketball, soccer, and volleyball,and she serves as an assistant JV basketball coach for her town’s high school. When not at sporting events or various activities for her children, she enjoys shopping, painting, and decorating, as well as spending time with family and friends.